Yesterday itself, scrolling down through social media I came across this fantastic video of making art and craft with glue. And just like you I when straight to Internet to know some more cool inspirations to unlock my creative spells. Look at yourself – You see that? The creative side of yourself? Yes, that is waiting to come out in real. Need help? What are we here for people! Gear up because today, we unleash some amazing and genius glue art and craft ideas to you. What do you have to do? Read, prepare and get going! Though, selling these effortless pieces of artwork and craft would be a great idea too. Did you know that you could use food coloring and glue together? 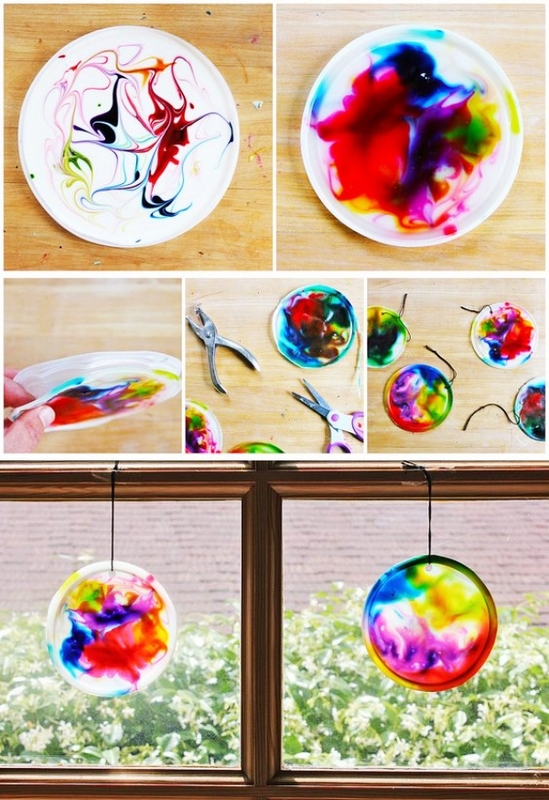 For a cool sun catcher, spread some wet glue, squish on food coloring and make patterns with a toothpick. If you get yourself a hot glue gun, you can make yourself pendants, bracelets, rings, and what not! Pile on the stones and the beads and watch them come to life. 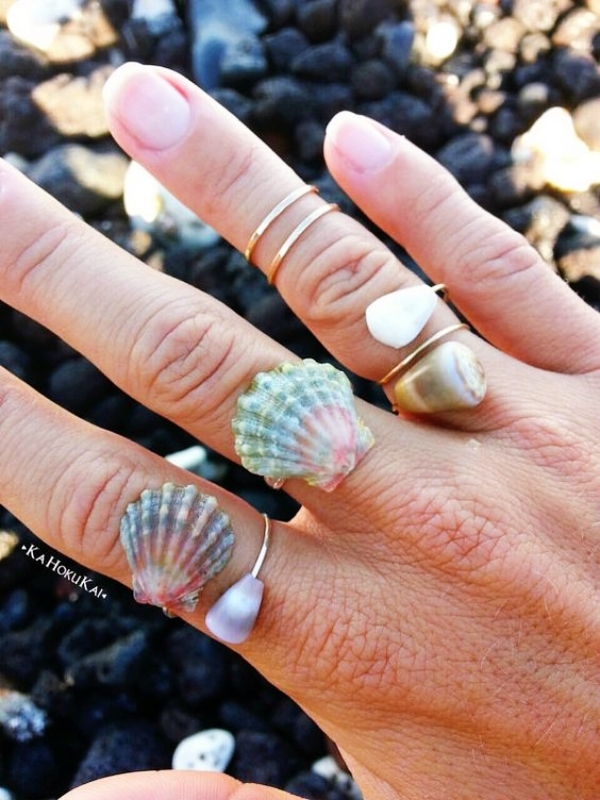 Seashells make great jewelry too! All you need is some twine and glue. Wind the twine around and glue as you do it and your coaster is ready. Simple and rustic! Using pompom could elevate your art and make it look no less than a masterpiece instantly. 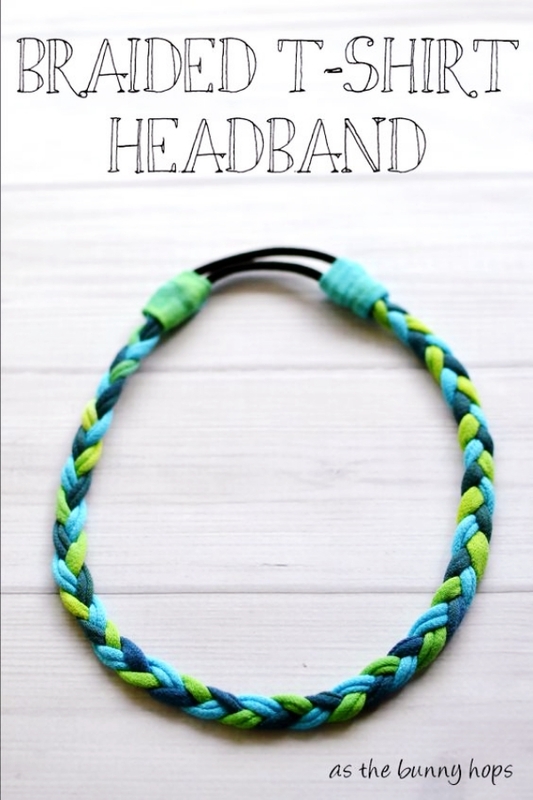 If you have some leather scraps or vinyl left over from another project, braid them together and glue them to make a headband. Make everyone exclaim in wonder over this one. 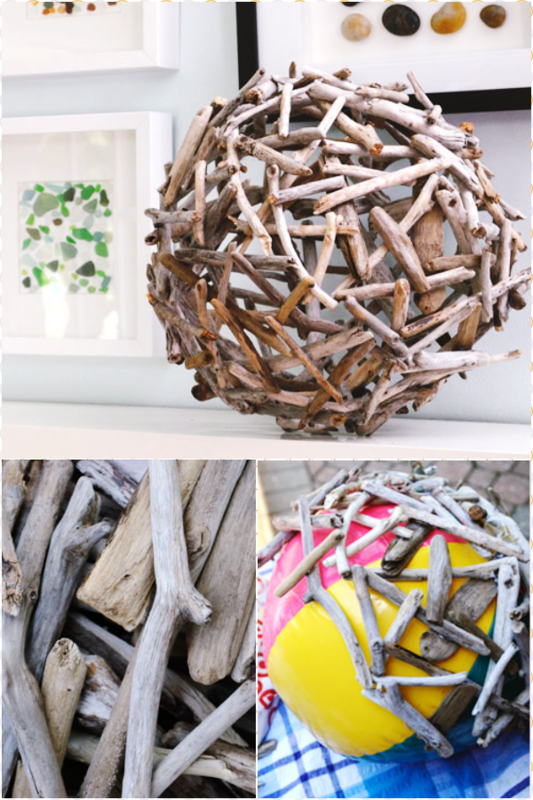 Inflate a beach ball and then start laying driftwood pieces on it, gluing them to create a lattice. Once the ball is covered, deflate it, and pull it out through one of the holes. Isn’t that one of the best genius art and craft ideas? 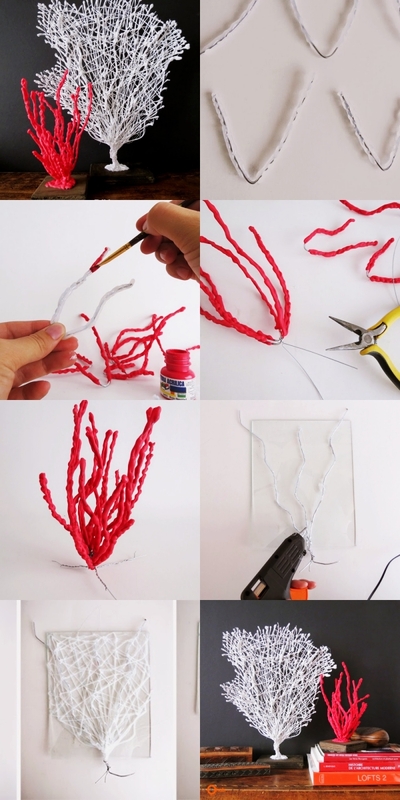 Use some wire and hot glue to make cool coral shapes and then paint them red or white. Fix this to a wooden stand and you are good to go. 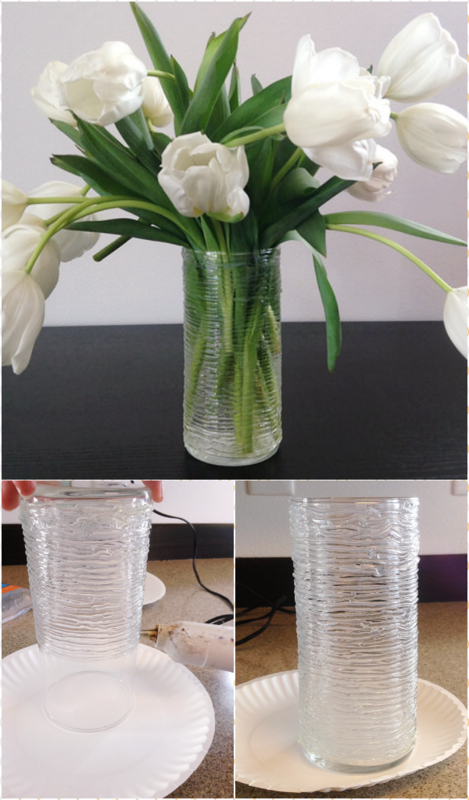 Revamp a boring vase by working your way around it with a hot glue gun. You will get an amazing texture that will make it look totally awesome. You would never guess these were made of glue if I didn’t tell you. A few droplets of hot glue coated with acrylic paint and you have them ready to hook them on. Cover a candle holder in stray patterns with a glue gun, dry it, pull the candle holder out and then spray paint it. Put the holder back again. No one will ever guess what you used. If you liked the leather headbands, you can try this one too! Just tear up an old T-shirt into strips and braid or knot it in ways you like and glue it all together. 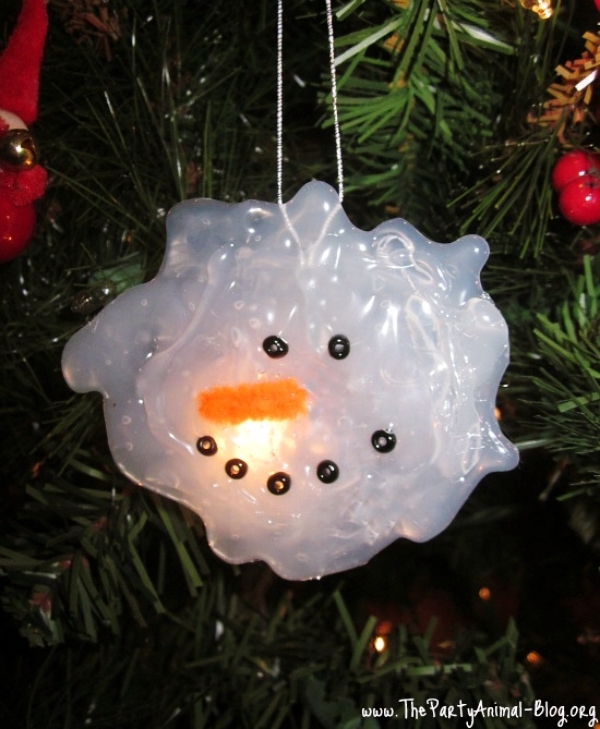 For the holiday season, use some hot glue to make a melted snowman face and hang it near your tree. The lights from the tree shine through for a special effect. 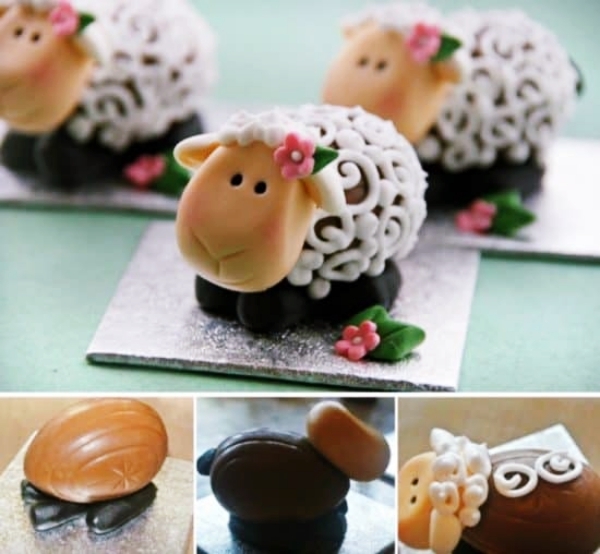 These Genius Glue Art and Craft Ideas will inspire you to turn to clay. 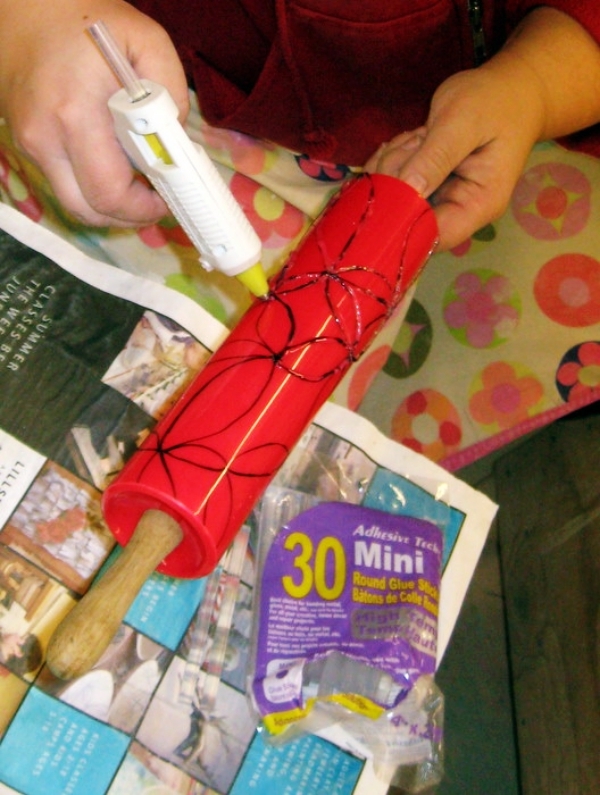 Take a roller and etch out patterns with a sharp pin. Go over the top with hot glue and once it dries, you can use it to indent soft clay. Go wild with this Genius Glue Art and Craft Ideas. You can add flowers, ribbons, or beads and paint on a nice welcome sign for your house with glue. If you have made the coasters, you will find this easy, just repeat the same steps but coil upwards instead to make the baskets. Squeeze out the glue in firework patterns and use salt on it for the coolest effect. Some paint for a finishing touch and it makes one of the most perfect Genius Glue Art and Craft Ideas. Some painted pine cones and clay bases – glue them together and place them in a Mason jar for a cool Christmas decoration. Put chocolate into a water balloon and inflate it. Dip yarn into water and glue mixed together and wrap it around the balloon. On drying pop the balloon and remove it. Some colored tissue paper cut into squares and pasted onto a jar with a candle inside can give a stained glass look to it, to die for. Easy peasy! 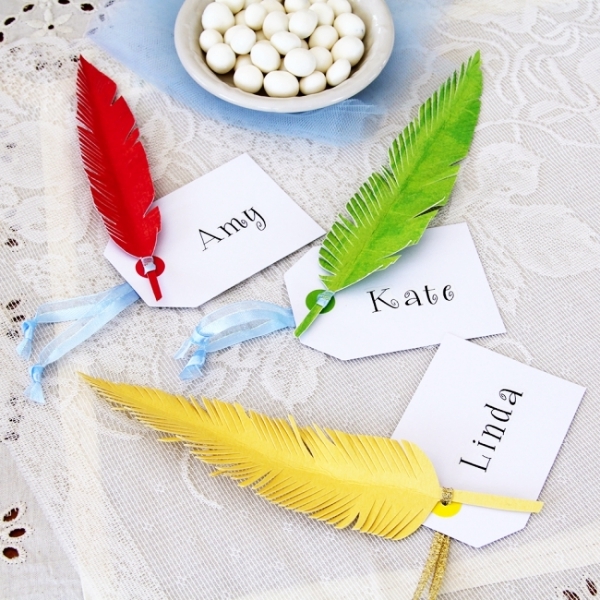 Cut cardboard paper into a nice shape and paste on some nice shiny stones to make a bookmark. 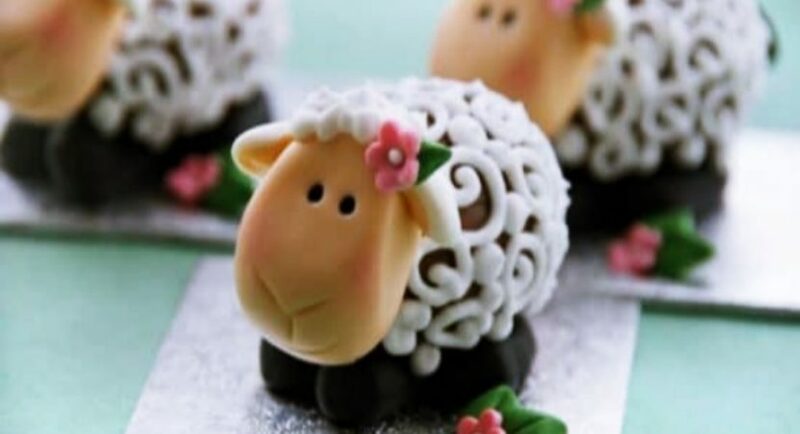 It is a nice gift yet Genius Glue Art and Craft Ideas. Ice cream sticks pasted in a zigzag manner and a card paper snake head painted in a bright color – a snake that will scare no one. Use all the items you can. One more interesting thing that can help you build some Genius Glue Art and Craft Ideas is vegetable and fruit peels! Yes, they may be trash, but think about using that as decorative ideas!